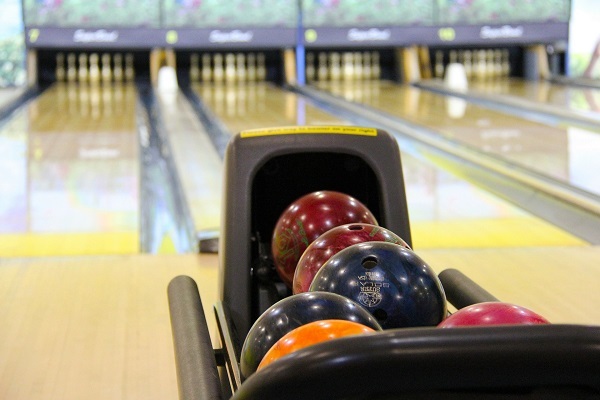 Did You Know Your Church May Have a Hidden Bowling Alley? As early as 1860, churches with bowling alleys were already becoming common across the Midwest and in the Northeast. Churches are more than religious institutions where people can connect with their faith and their creator. They are also social institutions, providing the glue that helps bond a community together, lending their meeting space for local groups such as boy and girl scouts, AA meetings, or as a polling space. However, it is surprising to find out there are many churches with hidden bowling alleys in their basements. As early as 1860, churches with bowling alleys were already becoming common across the Midwest and in the Northeast. The prohibition era of the 20th century provided an incentive for more bowling alleys to be located under the protective wings of churches. Bowling alleys in churches provided the local church going men an excuse to form a private club in which local liquor laws prohibiting the sale of alcohol before noon on Sundays would not be applicable. It also seemed more acceptable and practical to have the men enjoy their drinks in a safe environment, instead of frequenting gambling establishments. The bowling craze of the 1940s and 1950s that swept across the country also contributed to the proliferation of bowling alleys in many churches. However, many of these bowling alleys were closed down, refurbished and converted into meeting places in the late 1980s and 1990s. There are presently about 200 hidden bowling alleys left, but this number is quickly diminishing. The trend of having bowling alleys in churches was started by German immigrants in the 1860s. They were built for providing a safe environment in which they could meet and have fun without running into any bad company that could ruin the morals of their families. There were many different churches with hidden bowling alleys in their basements. Catholic, Unitarian, Baptist and Lutheran churches all got involved in the game. Currently, with church attendance declining, there is not much of a future left for bowling alleys in churches. Most are being used for other things such as meetings and places for choir and youth groups to practice for the next church session the following Sunday. Rev. John Brancich of the Omaha Immaculate Conception Catholic Church commented, “Enhancing the retro look and improving the marketing are part of an effort to boost business and keep balls rolling and pins falling for another 50 years.” The church has an avocado green 10-alley bowling facility, which is going through the same problems all church bowling alleys are experiencing — lack of interest. Other churches have managed to maintain their bowling alleys by diversifying and including more activities to keep people coming back for more. For instance, the Church of St. Francis de Sales in St. Paul, Minn. has a six lane bowling alley built in 1939 that is used for gym classes, league play and parties. It also helps that the alley is located inside a school building belonging to the church. At church, bowling with the nephews, as one does.